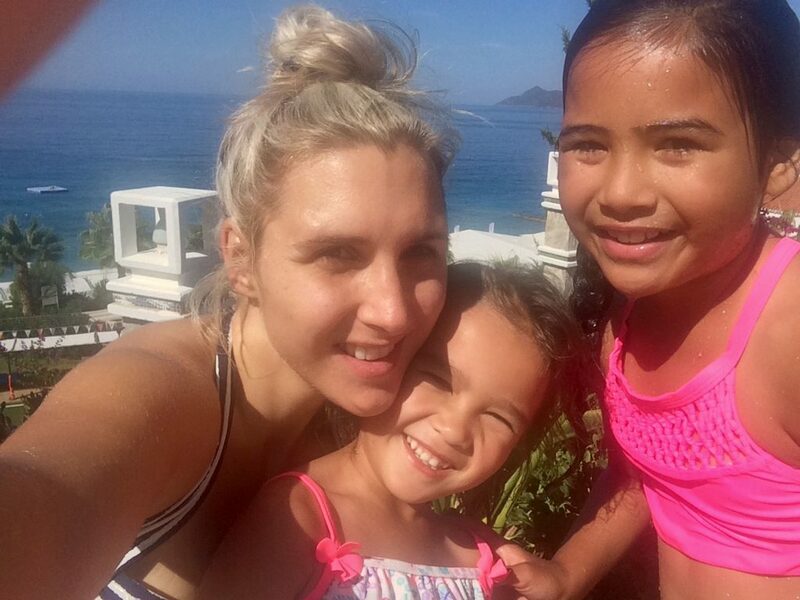 A mum-of-two claims she narrowly avoided DEATH on holiday after being ‘squashed by an obese woman’ on a water-slide. 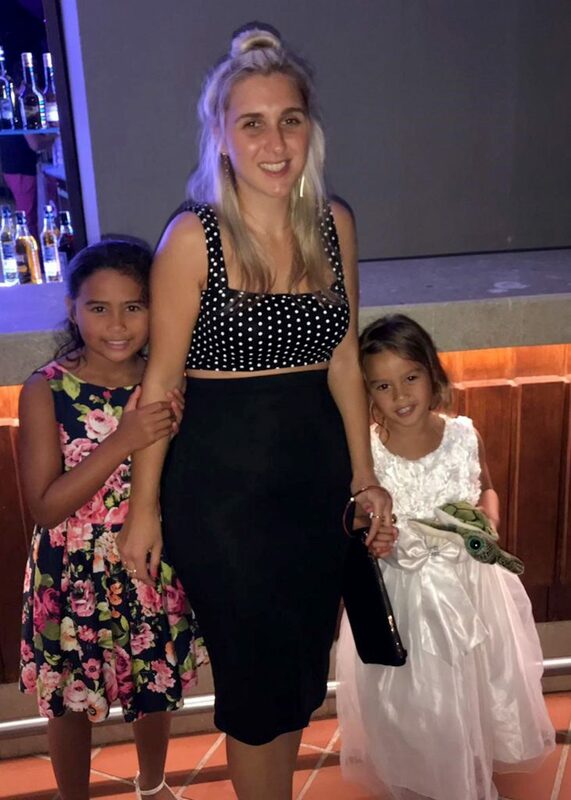 Jemma Joslyn, 32, paid £2,700 for an all-inclusive two-week holiday at Liberty Lykia Hotel in Turkey last September with her two children before their trip turned into a living nightmare. After using the five star hotel’s onsite water park, Jemma was left fighting for her life after she claims another holidaymaker hurtled down the water slide and slammed into her, crushing her internal organs. The mum-of-two was rushed to Esnaf Hospital in Fethiye, Turkey suffering from a split liver, internal bleeding and severe kidney damage. Jemma, who underwent lifesaving surgery, spent the next eight days recovering in Turkey before returning home to Seaford, East Sussex. 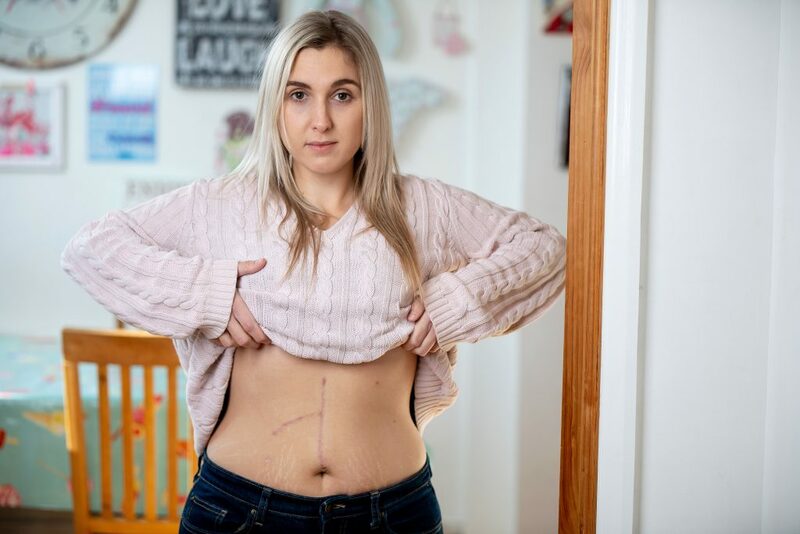 She has been left with a huge scar down her stomach and still suffers from the consequences of her kidney damage as she only has one of the organ due to donating the other to her mum in 2015. The health care assistant, said: “This holiday was my first in four years with my two girls and it was a big treat. “We met up with my friends, Natasha Gander, 32 and Bill Andrews, 39, who flew in on the flight after us and were set to have an amazing break. 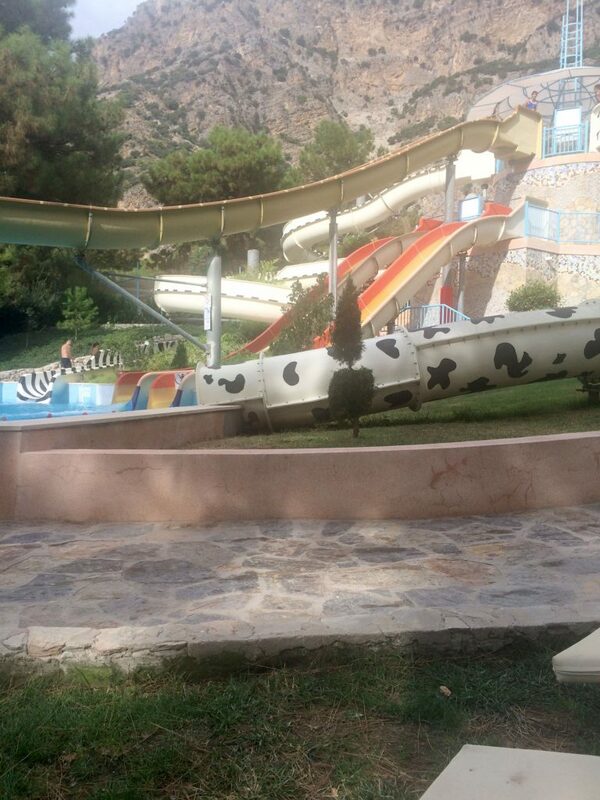 “But I’d only been in Turkey for only 14 hours when we’d decided to go to the water park at the hotel. “There was no staff to direct anyone on the slides but I’d told my two young children to wait 10 seconds between each other so they could get out of the way. “My daughter was supposed to follow me down afterwards but instead a overweight woman came down the slide just moments after me. “I had reached the bottom of the slide but all I saw was these two feet coming towards me – I knew there was no way I could move in time. “I was thrown backwards in the water, and my eyes were rolling back into my head. “I was coming in and out of conscious as the pain was so severe. “It was horrific – an English translator told me after an emergency CT scan, my only option was emergency surgery. “I’d split my liver and severely damaged by kidney which was terrifying as I’d donated my other one for my mum, 59 via the Kidney Donation Scheme, in May 2015. Jemma claims she was then told her insurance didn’t cover the hospital care as she had been taken to a private hospital. She added: “I had only taken £150 with me as we were all inclusive, but now I needed £5,000 to have lifesaving surgery. “My friend, Bill, thankfully was able to pay for it as I couldn’t have it until it was paid. 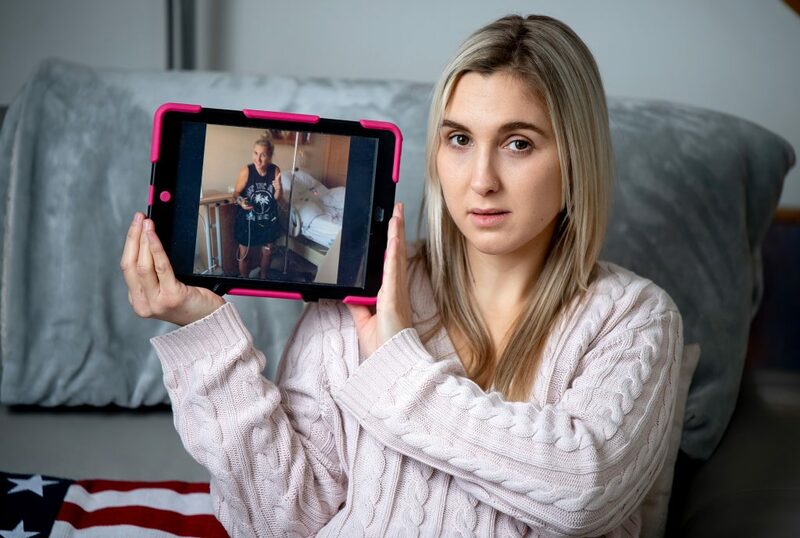 After the almost fatal incident – which resulted in a three day stay in an intensive care unit in Turkey, followed by a further five days on a ward – Jemma claims that Thomas Cook did nothing to help. Jemma added: “My children were hit with a vomiting bug that had swept through the hotel soon after my accident. “No extra support was offered and my mum, 59 had to plead with Thomas Cook to get both herself and my dad, 76, to Turkey. “But they weren’t warned about the contagious bug and were taken to the hotel. “When my mum rang the 24 hour emergency line, the staff didn’t know anything and had no idea where my children were. A spokesman for Thomas Cook said: “Both our UK-based welfare team and our in-resort team have been in touch with Ms Joslyn on several occasions following this accident. “We also arranged for her parents to fly to Turkey to be with their daughter. Solicitor Magdalena Knez, from Slater and Gordon, who is representing Jemma’s legal case, said: “Thomas Cook have confirmed they have received our correspondence and are looking into the case.